In today’s business world, a missed email can mean the difference between landing a big client and losing out on an opportunity. That is why so many businesses are adding additional security to their Office 365 accounts, including outbound email filtering services. Outbound email filtering helps keep your emails more secure and helps ensure that they get delivered to their recipients. Without it, you can end up without important correspondences, and that means you can even lose out on business. Here are just a few of the benefits that businesses are enjoying by adding outbound email filtering to their Office 365 accounts. While most email clients are getting better and better at sorting spam from actual correspondence, they still are not perfect. 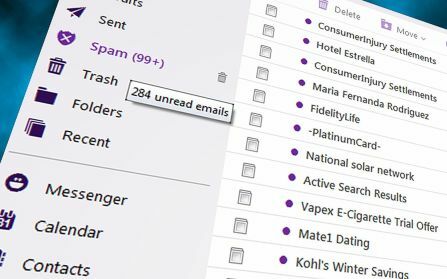 They can still read some emails that do not comply with certain standards as spam, which means your emails can end up ignored in someone’s spam folder. This can be extremely detrimental in some instances where important or time-sensitive information is being transferred, so it’s imperative that your emails end up where they need to be. For many companies that work in the tech sector and beyond, security compliance is mandatory when looking for and working with other companies and businesses. If your company does not meet their required security protocols, you simply will not get the contract. That is why so many businesses opt to add enhanced security to their Office 365 services. Office 365 as-is often does not meet the stringent security protocols and requirements of other businesses, so it pays to upgrade those services with additional features, including outbound email filtering. Has anyone ever hacked your email and then sent emails to everyone in your contact list? This is a common practice with hackers to this day, not just because it’s simple to do, but also because it can actually be quite effective for spreading malware or getting people to give up their personal information. And when it comes from you, even when you did everything in your power to stop it, it looks bad. Outbound email filtering (https://www.securence.com/how-an-email-filtering-service-help-secure-your-businesses-future/) can help catch suspicious email activity, including mass emails that are sent from your account, and stop them before they end up in the inboxes of important clients, family members, or friends. So even if you do end up compromised, it can stay contained to your account. Email filtering is an essential aspect of modern business. Without the right security protocols, you could end up losing out on important business and having important messages end up in the spam folders of your clients. But with additional security features for your Office 365 account, including outbound email filtering, you can enjoy added security and more effective emailing. If you are in need of extra email security for your business, contact Securence today. With a variety of email security options available at affordable prices, we can make your emailing more effective and secure without biting into your budget. Spam is most well-known for spreading viruses and scams to unwitting people across the internet, but it can actually cause plenty of problems for the modern business. This is why effective spam filtering, like Securence spam filtering, is an important part of running a successful business in the 21st century. Here are just a few reasons why spam filtering is important for not only keeping you safe from viruses, but also for helping your company be more effective and successful. The average office worker receives roughly 121 emails per day, half of which are estimated to be spam. But even at 60 emails a day, it is easy to lose important communications to the sheer number that are coming in. This is one of the secret benefits of spam filtering that people do not know about: it simply streamlines your inbox. With less garbage coming into your inbox, you can actually go through your emails more effectively and stay in touch with those who matter. Malware, viruses, and other forms of malicious attacks are heading to people’s email inboxes every day. Some of these can be easily weeded out by your internet provider’s own spam filters, but spam gets smarter every day. Smarter spam gets into more inboxes, which makes it more likely to be opened and more likely to cause harm. With spam filtering, you can stay on top of the many spam tactics that are being used today so you can ensure that your email inboxes stay free of harmful messages. Many small and medium sized businesses are losing out on important clients today because their cybersecurity is not up to par. Spam filtering is a major part of any cybersecurity plan, and it helps you stay compliant with the wishes and demands of companies and agencies that are concerned about their information. Without proper spam filtering, you could unwittingly put spyware in your emails and break security protocols. The result could be a loss of business, reputation, and ultimately income. Every day, someone falls prey to a phishing scam, a particular kind of spam-based scheme where someone thinks they are getting a legitimate email and ends up divulging credit card information. Sometimes it is a personal credit card, sometimes it is a company credit card. In both instances, the end result is losing valuable time and money to a scam. Spam filtering is also incredibly affordable, making it a cheap but extremely effective way to keep yourself safe. Your inboxes need to be effective tools for communication, not a place where anyone can get into and start hitting you with useless or dangerous emails. That is why spam filtering is such an important aspect of modern businesses. Rather than relying on outdated, free spam filtering services, choose Securence spam filtering. With up-to-the-minute security protocols, it can help your business communicate more effectively while keeping malware out of your inboxes, all for less than you may think.